Prairie Spine is proud to welcome Andrew Kitterman, PA-C to our team of professionals. Andrew works closely with our patients monitoring their progress and collaborates with other caregivers to assure the best care possible for their individualized needs. As a strong patient advocate, his top concern is enhancing function, reducing pain, and improving the overall quality of life of each patient. Andrew comes to us after earning his Bachelor of Science degree at Florida State University, and completing the PA program and clinical training throughout Georgia, South Carolina and Virginia. 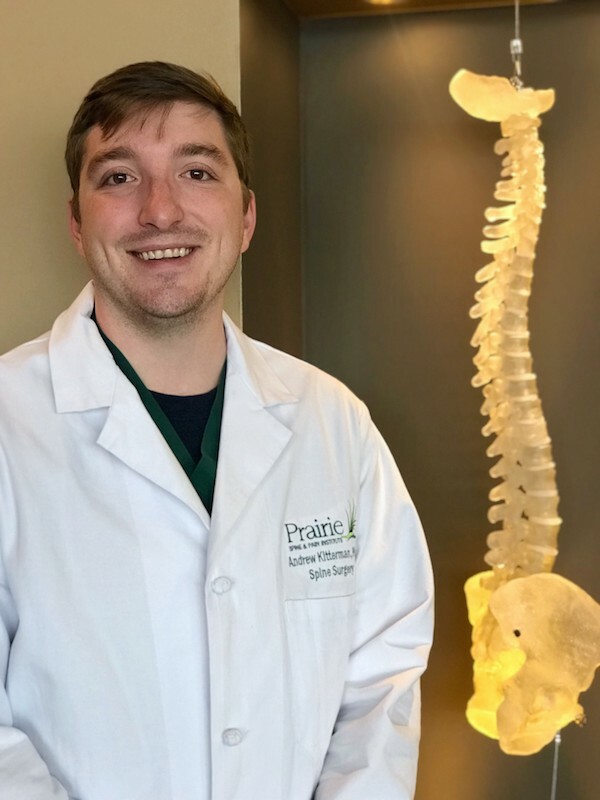 Andrew is extremely passionate about helping others become the healthiest version of themselves and is eager to help each patient at Prairie Spine. Click here for complete bio to learn more!